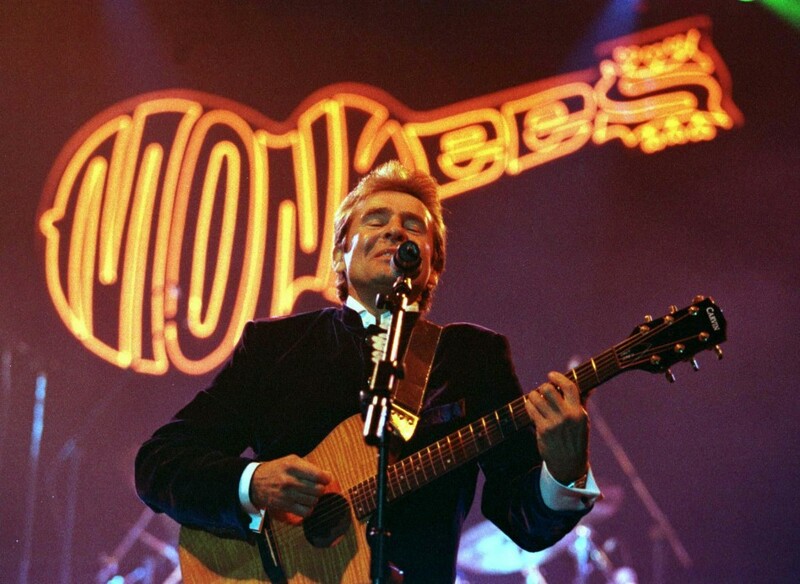 ​​"The Monkees are playing a pointless rock gig when they should be staging a massive mindfuck of a West End show. 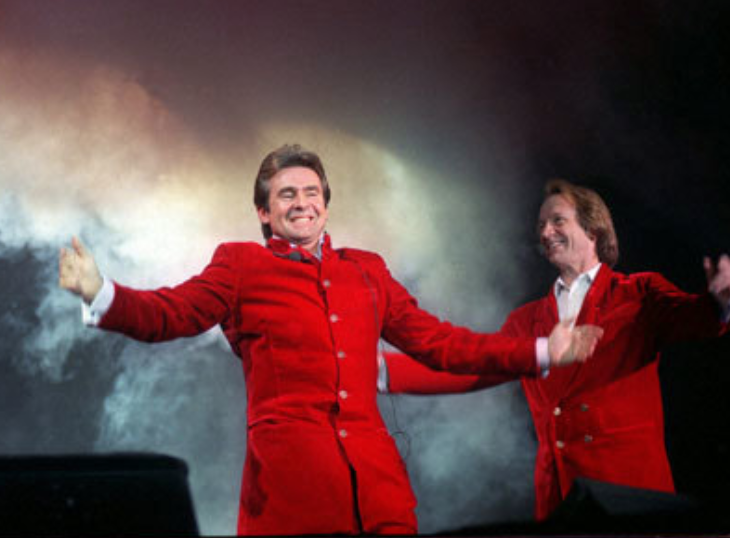 They have the deranged material and the attitude to create a theatrical experience stuffed with Goffin/King/Diamond magnificence and twisted splendour." 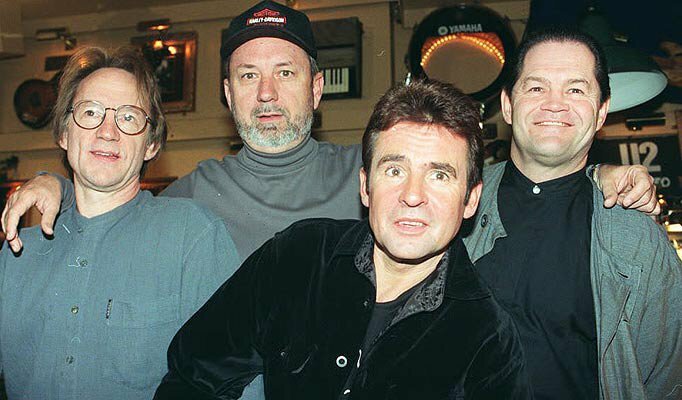 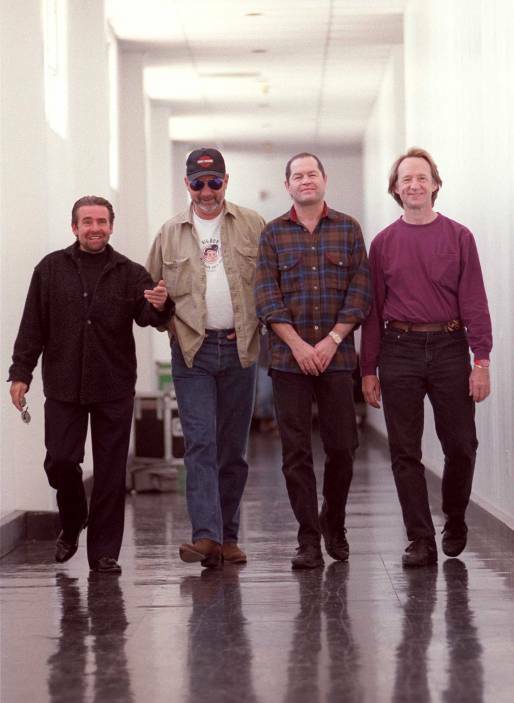 ​The return of all four Monkees to the United Kingdom in early 1997 was long awaited by fans who had last seen them perform together there for a limited run of dates in 1967. 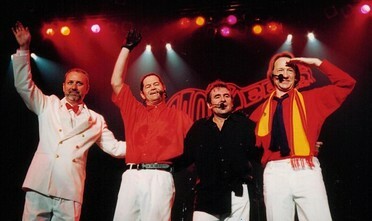 It was also the first complete Monkees tour to feature Michael Nesmith since the band's reformation in 1986. 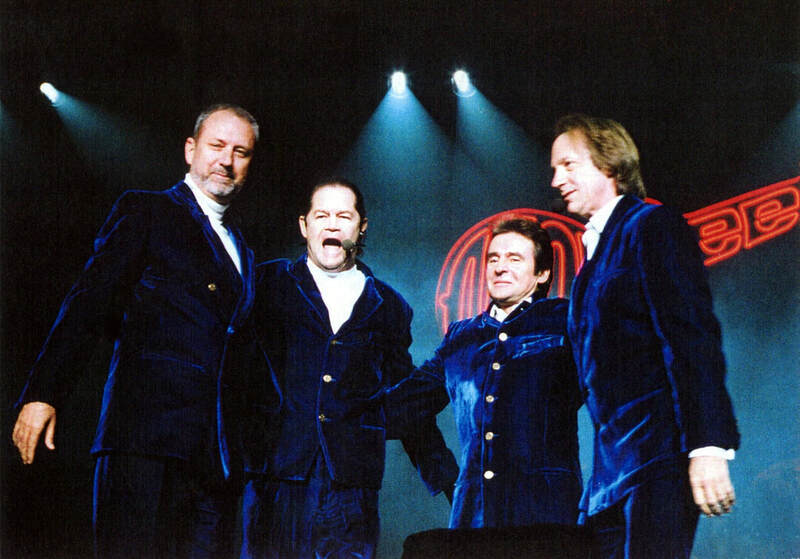 The group traveled to England in January to conduct a press conference at London's Hard Rock Cafe and subsequently appeared on numerous UK television and radio talk shows to hype the arena concerts and their brand new studio album, Justus. 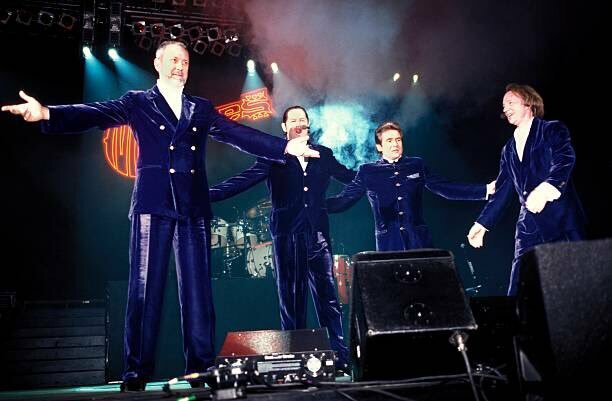 The tour played to full houses at almost every stop in England, Scotland, and Ireland, including two sold-out shows at Wembley Arena. 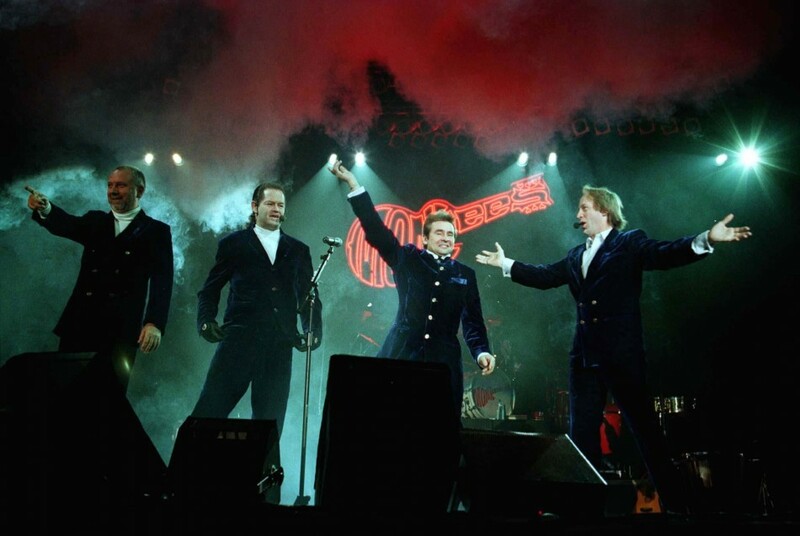 The band was enthusiastically greeted by audiences, but the British press was another story. 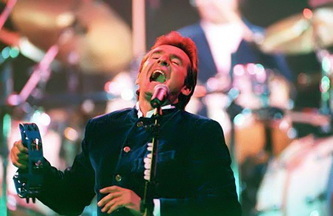 Though they widely documented the tour, most coverage was negative and unfavorable. In their writings, the British media seemed more intent to focus on the fact that The Monkees were no longer twenty-something's rather than critique the artistic merit of their performances. 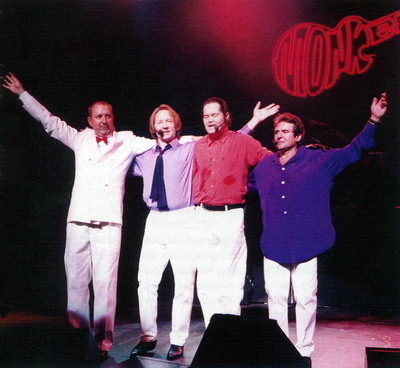 Nonetheless, fans were thrilled with the show and the chance to see all four Monkees performing an entire concert together for the first time since 1968. 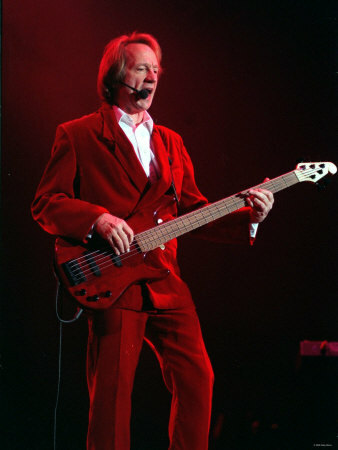 Michael Nesmith, on the other hand, decided to cease all live concert appearances with The Monkees after the UK tour. It has been surmised that the double punch of less than stellar reviews and internal tensions within the group forced Michael to reassess his position as a full-time member of The Monkees. 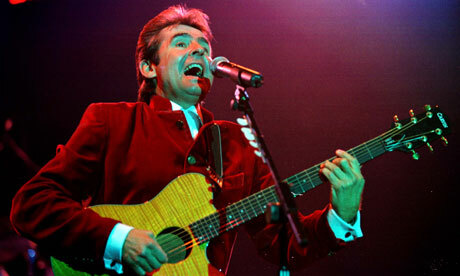 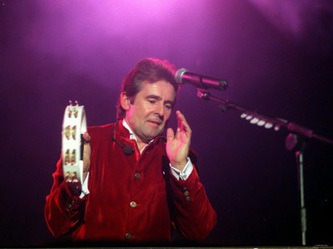 After this tour, Nesmith chose not to participate in any further Monkees projects until he reunited with Micky and Peter for a tour in 2012 that commemorated the passing of Davy Jones. 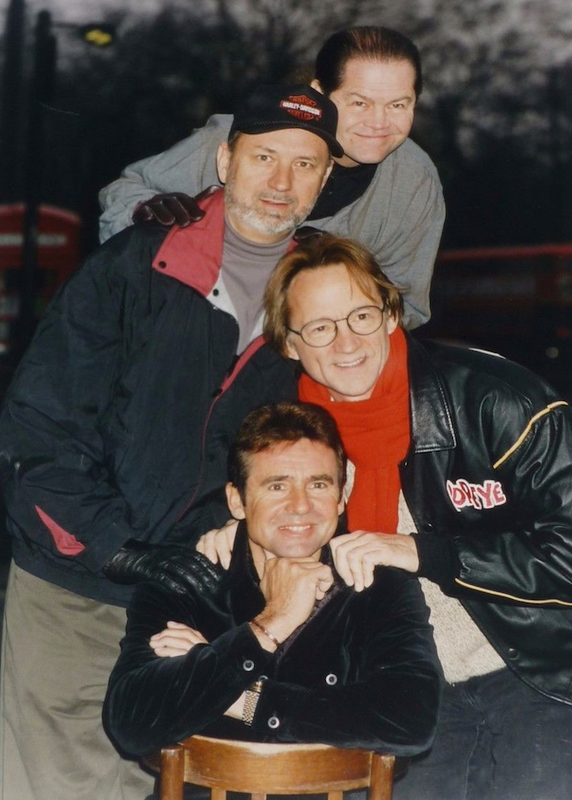 ​The first half of the shows in the UK featured the four Monkees playing their respective instruments alone on stage and staying true to the idea behind the whole Justus project. 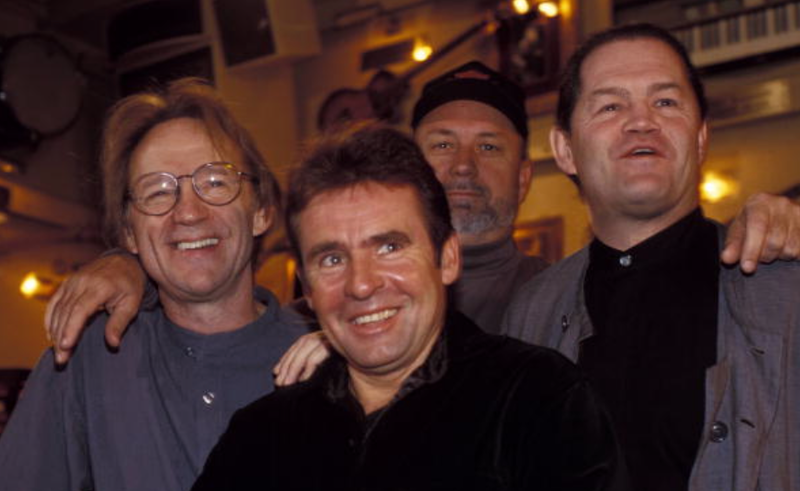 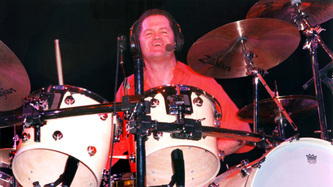 Micky played the drums while Peter switched between bass and keyboards, Michael handled lead guitar duties, and Davy played tambourine, maracas, and an electric-acoustic guitar. 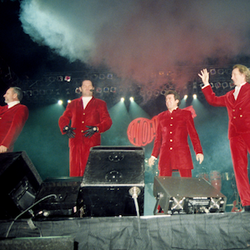 The Justus songs were often accompanied by footage from the 1997 ABC television special projected on video screens on both sides of the stage. 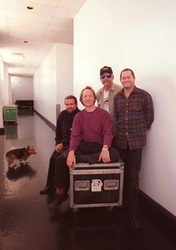 The backing band from the 1996 North American tour (with Sandy Gennaro replacing VJ Riccitelli on drums and John Sabino replacing Jimmy Riccitelli on keyboards) took the stage to support each individual member during the solo segments. 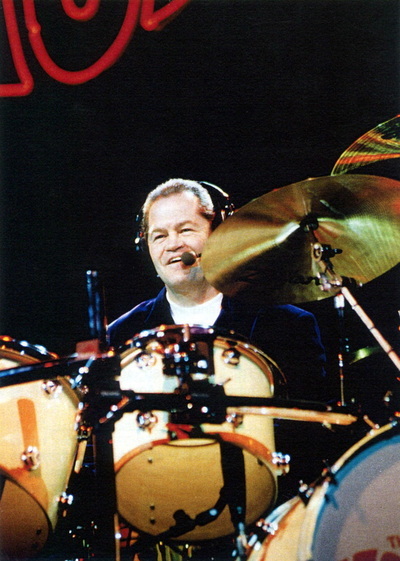 They remained on the stage but Micky stayed behind the drum kit (except for "Goin' Down") and Peter and Michael played their respective instruments for the duration of the show. 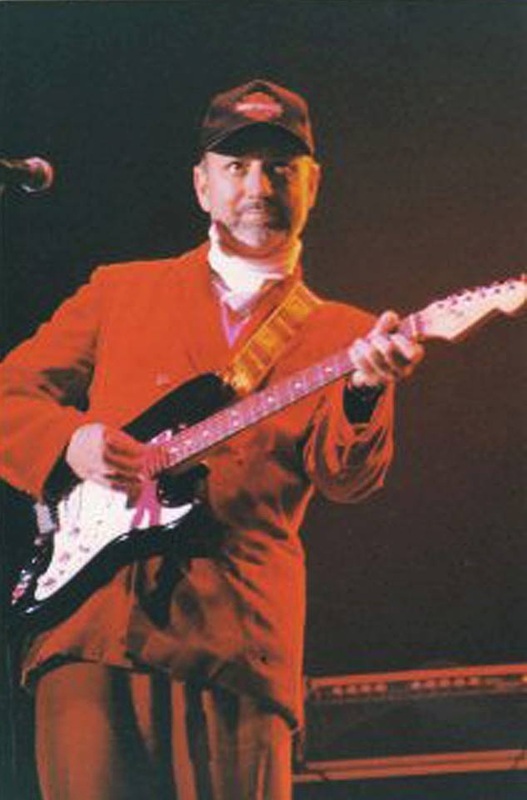 During "For Pete's Sake," Nez moved to keyboards, allowing Peter to handle lead guitar duties. 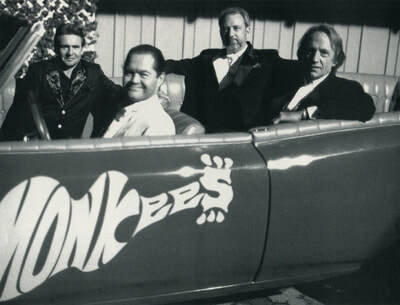 The encore of "Steppin' Stone" and "Pleasant Valley Sunday" featured only The Monkees. 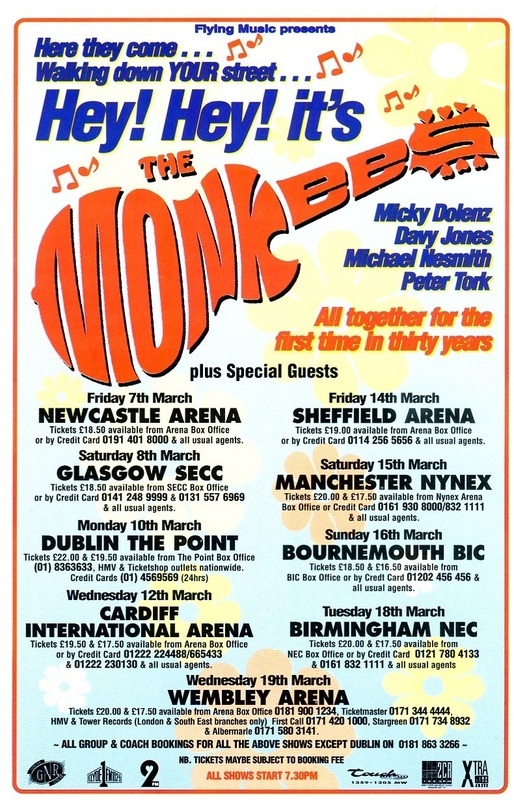 Nancy Boy, a group that included Jason Nesmith (one of Michael's sons), opened the UK shows. 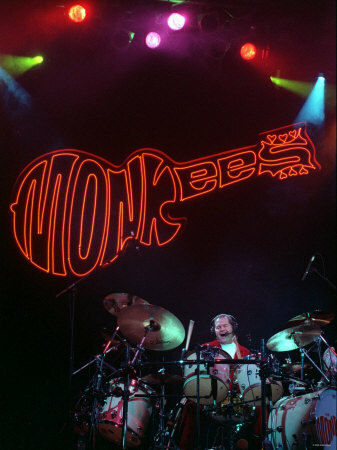 ​The set list for the start of the show leaned heavily on material from The Monkees' first album as a true self-contained unit, 1967's Headquarters, as well as their latest release, Justus. In keeping with tradition from Monkees tours in the 1960s, each member of the band performed a solo segment in the middle of the show that highlighted their musical roots or background. Introducing their solo spot with a brief monologue, each Monkee brought one another on and off the stage. 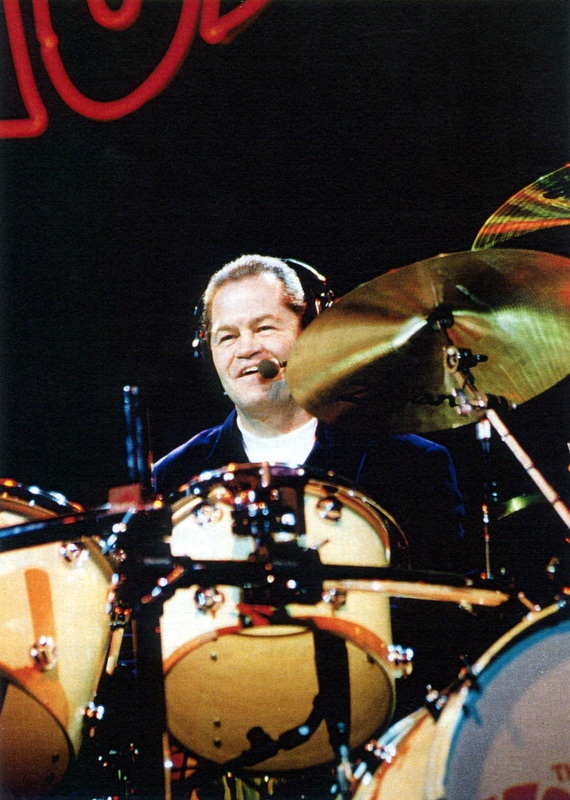 Early shows on the tour saw Michael perform "Laugh Kills Lonesome" but he switched to the more familiar "Rio" for the second half of the tour. Peter highlighted his love of early rock and blues by covering Little Richard's "Lucille." Micky sang "Since I Fell For You," a jazz and pop standard that he remembered his mother singing when he was a child. 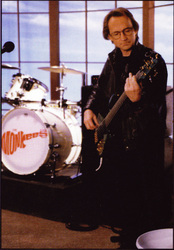 Davy, true to his Broadway roots, performed the song and dance routine for "Daddy's Song" as originally seen in The Monkees' movie Head. 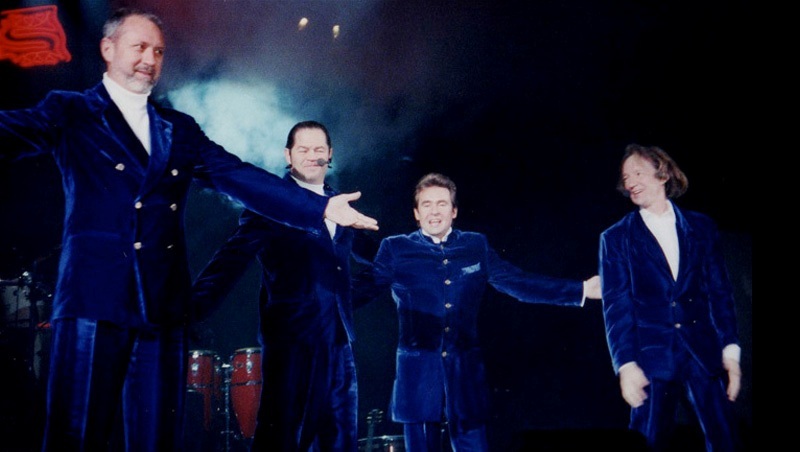 Despite mostly negative reviews in the UK, the reception by the fans, management, and some of the band members remained upbeat. 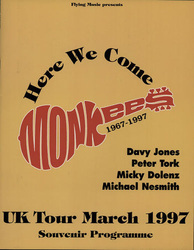 "We had a great time and got a fabulous reaction," Micky told Monkee Business Fanzine after the tour was completed. "I enjoyed seeing the fans," Michael enthused to Melody Maker. "We came because of a mandate from the fans and that was satisfying." Ward Sylvester, the band's manager, said the UK tour was "just great, well-attended, lots of sellouts and near sellouts." 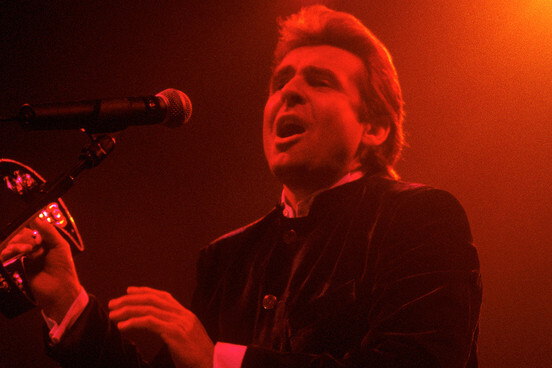 Asked about some of the less than stellar assessments, Sylvester shrugged it off. 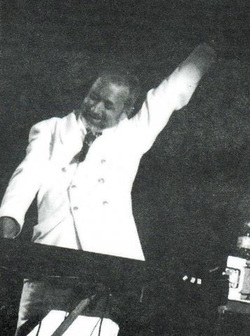 "The British press tends to be unpleasant. 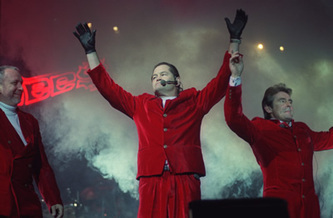 They do a lot of posturing to sell newspapers." 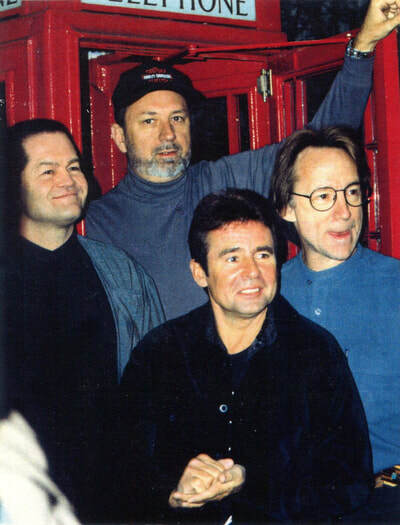 Q, a popular British music magazine, spoke to The Monkees during the tour. 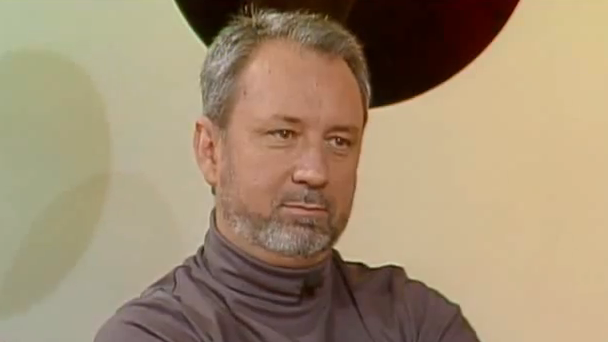 When the interviewer said to the group that "journalists hope you'll say you hate each other and you're just doing it for the money," Nesmith responded wryly. 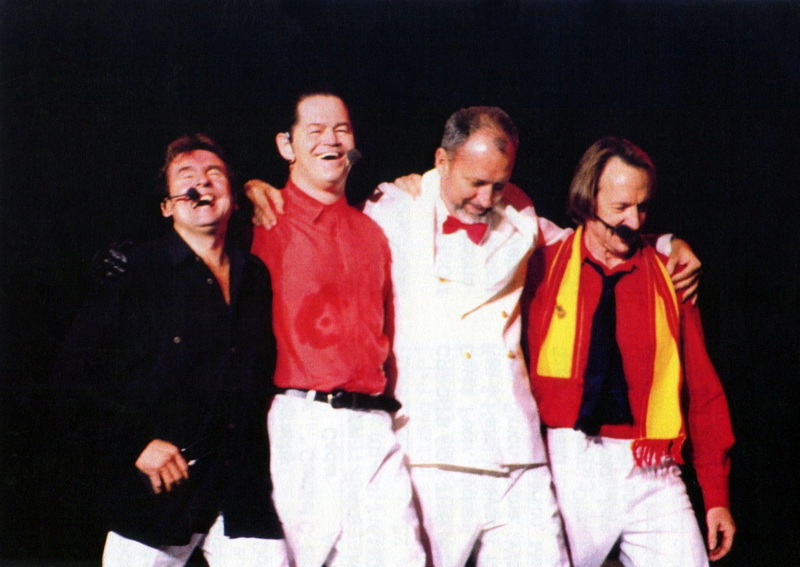 "We're all rich and we all like each other." 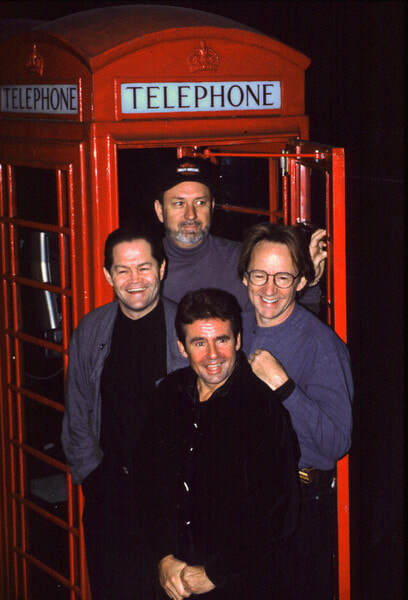 This is audio of The Monkees rehearsing "Shades of Gray"